The shophouse may be a little rundown and don’t expect well-lit glass display counters for the bread and cakes, but Hiap Joo has been around since 1919. 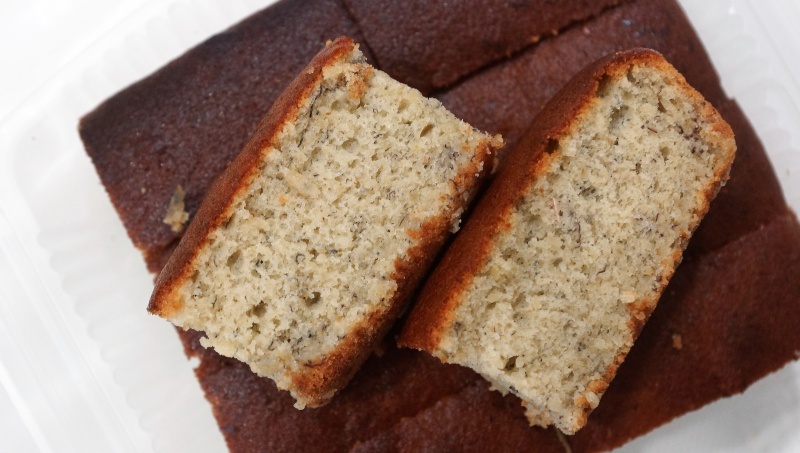 There is no sophisticated modern baking equipment, in fact, the banana cakes are baked using the most traditional manner – wood fire in a huge brick and clay built stove. 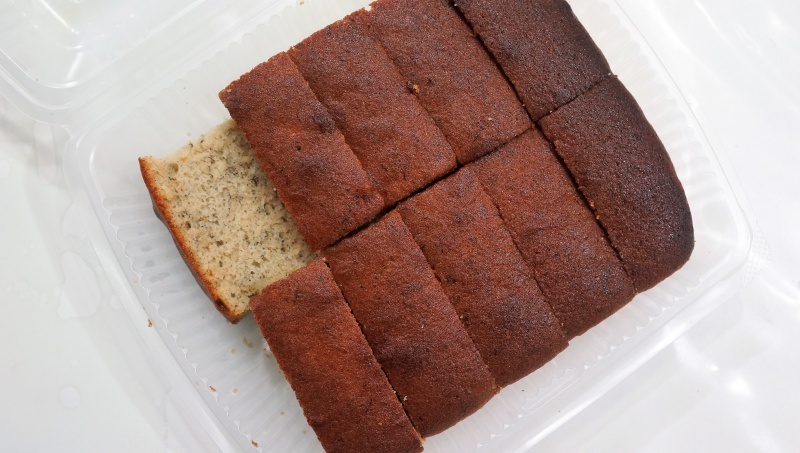 The banana cakes from Hiap Joo Bakery are something to crave about. My family’s regular trips to JB are not made without at least a few packs of banana cake to carry home. 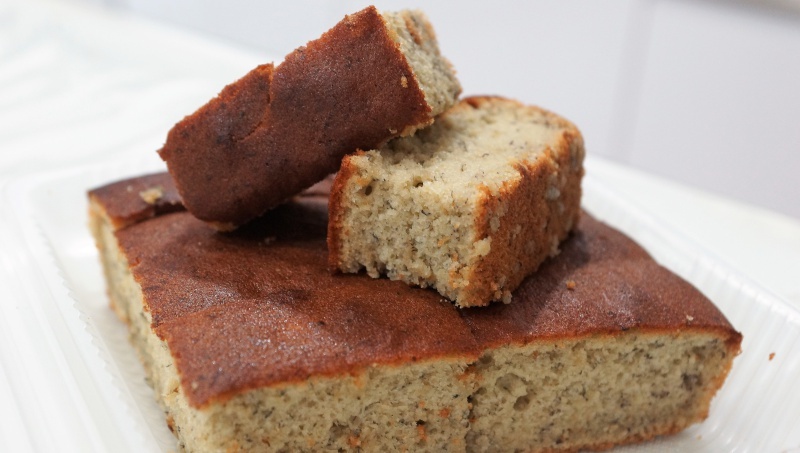 There is no shortage banana cake in Singapore but what makes these banana cakes stand out from local options? Judging from the appearance, the banana cakes may not look appealing. The top crust is a dark brown that speaks of over-baking, however, the crumb is surprisingly good. 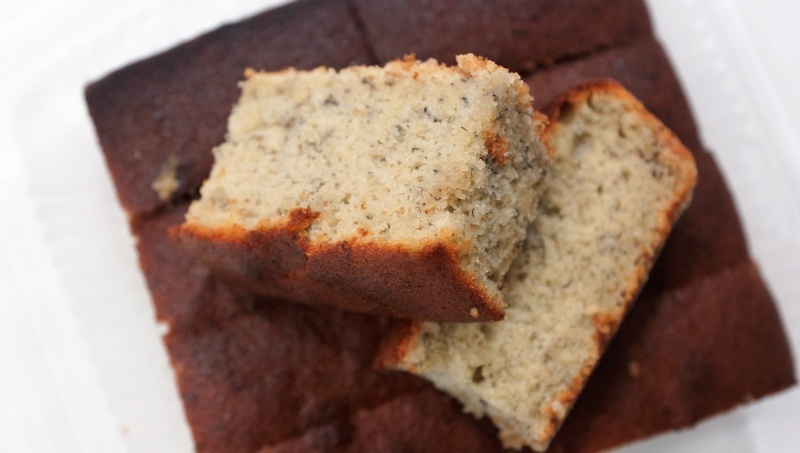 The perfect moisture, fine texture and the fragrance of the banana batter is simply tantalising. The sweetness is also well-controlled to avoid cloying feeling. Occasionally the cakes may suffer from “cake-sinking syndrome” where the middle of the cake collapses inwards, but most of the time they are baked nicely. Besides the quality of the cake, the relatively cheap price compared to the banana cakes in Singapore is another draw. It boils down to one conclusion- cheap and good. While you are there, I also recommend that you pick up a bag of Hiap Joo Bakery’s signature coconut buns as well. The fresh and not too sweet filling is worth having along with the banana cakes. 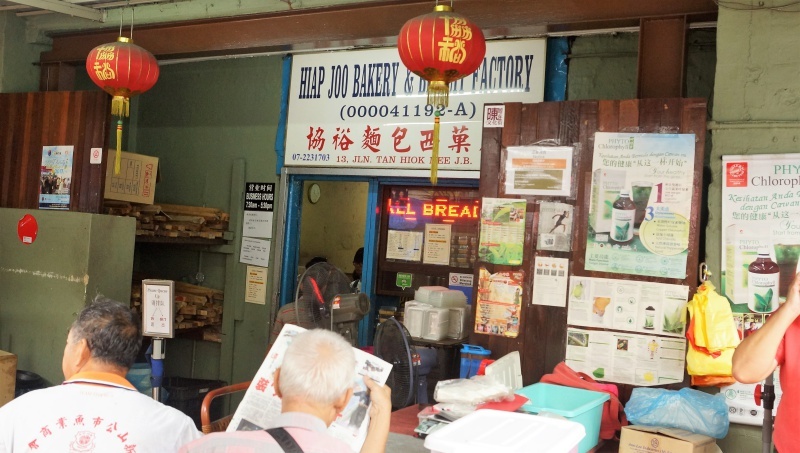 Hiap Joo Bakery & Biscuit Factory’s decades of experience produces some of the best banana cakes around. During your next JB trip, don’t forget to make a short detour for this delicious cake, you will likely come back for more.